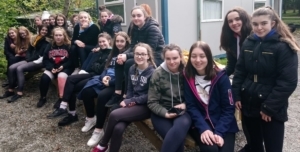 Our TYs had a fantastic 3 day trip to Westport, from the 3rd to the 5th of October, for their team bonding and outdoor pursuits programme. The trip, which is always a highlight of the TY programme, saw the students participate in a range of exciting adventure activities. 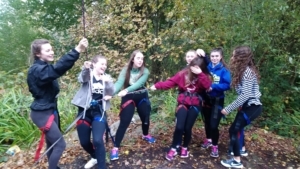 They braved the waves of the Atlantic, armed with their surfboards while back on-site they enjoyed getting to grips with high ropes, the climbing tower, archery, and team tasks. 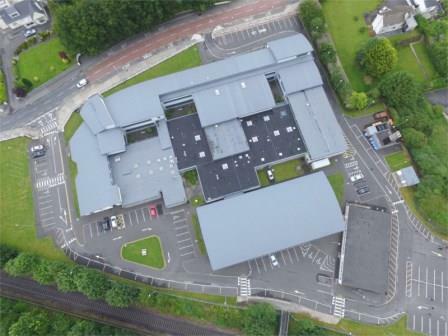 The evenings were just as jam-packed with indoor games, a talent show and disco. Thank you to the instructors from Horizon Ireland and The Westport Woods Hotel for the care given to the girls while away. Great fun was had by all.